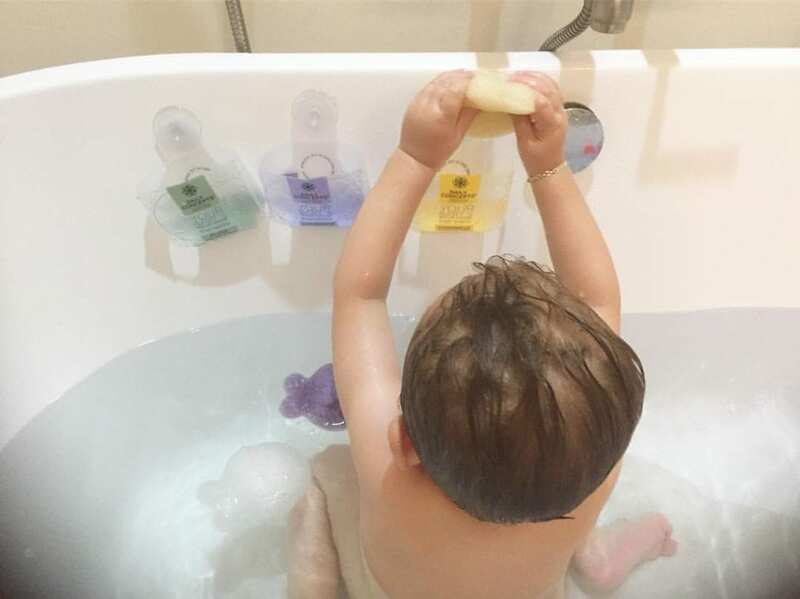 A Dad Creates a Line of Baby Bath Sponges — & Parentology’s Having a Giveaway! 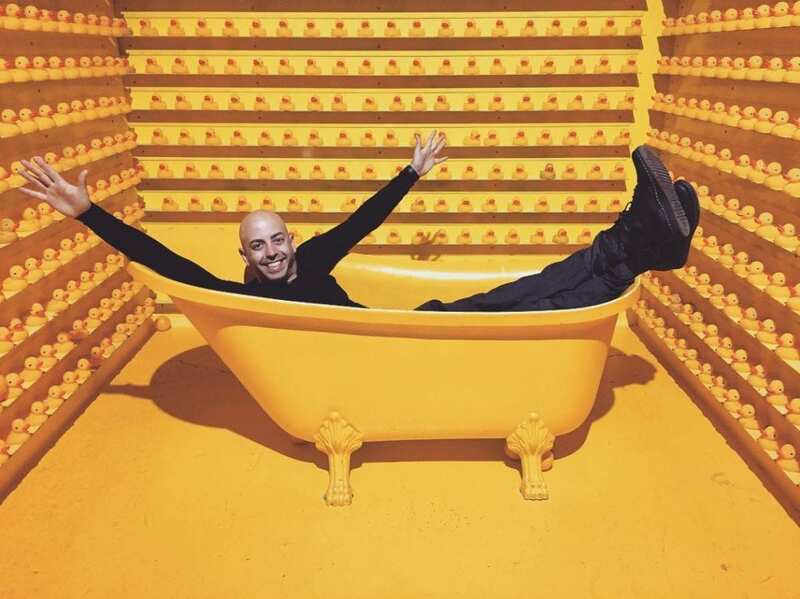 Bath time rituals have always held a special spot in Emilio Smeke’s life, especially as the family business is focused on specialty sponges and scrubbers. Several years back, Emilio branched out, launching his own brand — Daily Concepts. 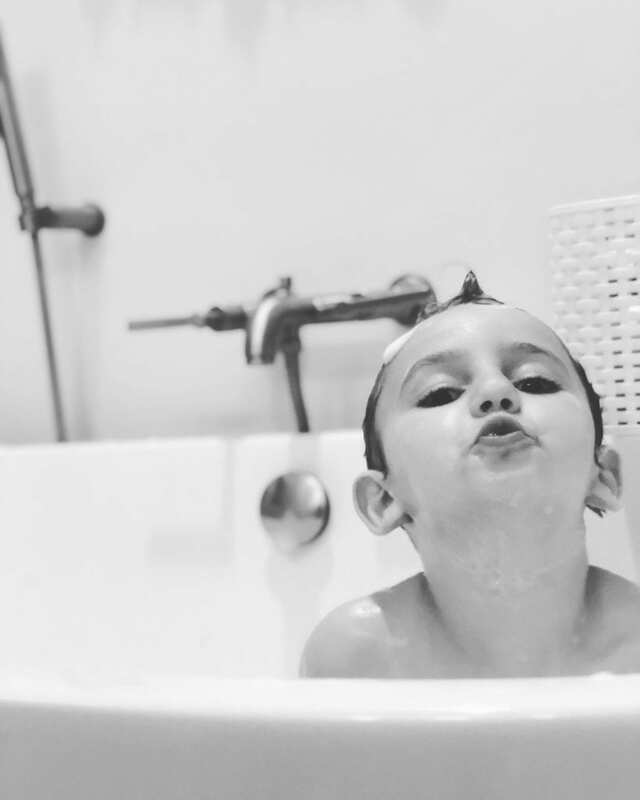 Beyond the different types of bath accessories, Emilio designed packaging that would suction onto showers and tubs, keeping Daily Concepts products from coming into contact with bacteria and allowing for quick drying via ventilation. Each product also has a tag that fades with use, alerting the bather when it’s time for a replacement. Fast-forward into Emilio’s new venture and… he became a father to daughter Terrie and son Salo. 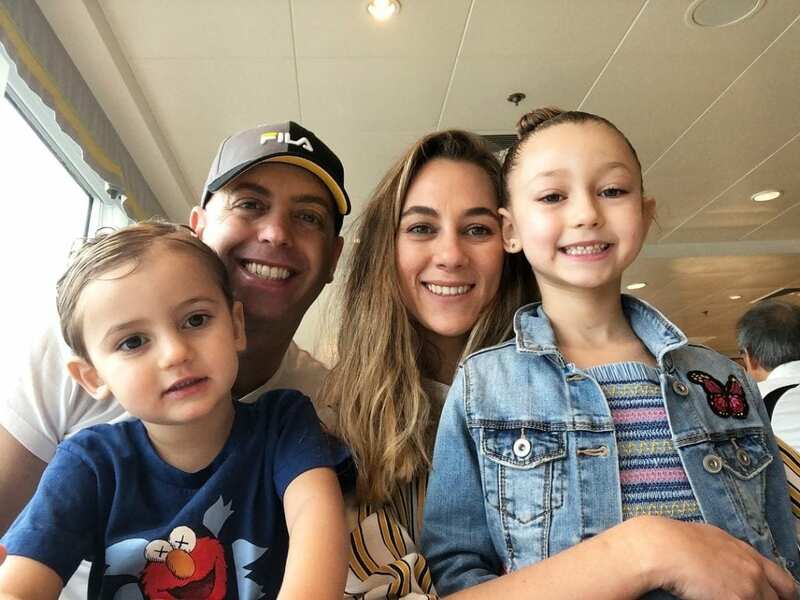 He immediately knew he wanted to create a Daily Concepts product for his own kids, as well as other families. And now you can try it out with our Daily Concepts Konjac Sponge giveaway. What’s a konjac, you ask? It’s a Japanese sponge made from the Konnyaku potato, making it highly absorbent in both water and oils, with a function that allows for breaking down skin’s dirt and balancing pH. And, as with all Daily Concepts products, the sponges are 100% natural, preservative-free, clinically/allergy-tested, cruelty-free and vegan. Look for details about the giveaway at the end of the article. And, without further ado… Emilio! What made Daily Concepts decide to branch out and make sponges for babies? Of course as a father I saw a need with my two little ones! There are FEW brands that cater to children and the selection is beyond limited. It was also a natural evolution of the brand where our core has been designing products that not only elevate your bathing experience, but keep your bathing rituals more sanitary through Daily Concepts’ functional packaging and fading label technology. All of which are especially emphasized when we are dealing with our children, who can have more fragile immunities and sensitivities. Why/how are the Daily Concept sponges beneficial for babies? They’re a 100% natural sponge that has zero preservatives and a gentle texture that will cleanses without irritating the skin. 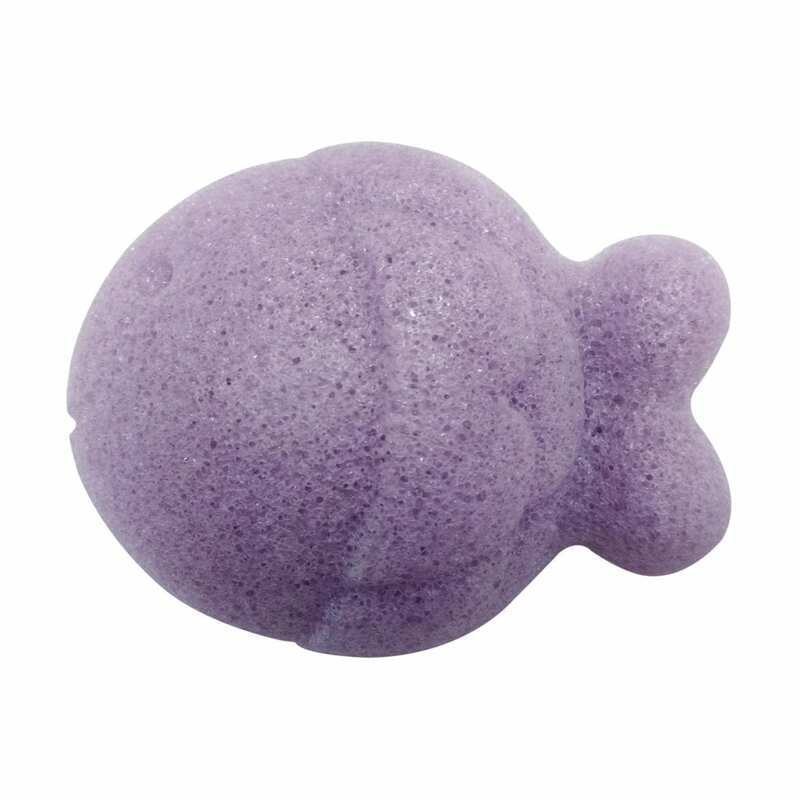 On a separate note we designed them in the shape of fish because bath time should always be a place where fun and freedom is encouraged. Two birds with one stone as they say! Tell us about the differences between the three sponges. We offer our Baby Konjac Sponges in Pure, Chamomile and Lavender. The Pure is simply the konjac root and great for any bathing needs. We added in an infusion (not a scent) of Chamomile and Lavender into those respective konjac sponges to offer the added benefits of calming and relaxing for baby’s bath time. How should they be used? Are they harsh on sensitive skin? They should be used anywhere there’s a dirty baby and water! They can be used as a tool to elevate any soap or wash and will lather nicely for baby. Or they can be used on their own without any other additional product. The texture of the konjac sponge is quite unique. When dry, it’s hard and rigid. Once immersed in water, it becomes soft and gentle, comparable to a wet sea sponge — the state in which it’s designed to be used. It’s ideal for baby’s skin. We recommend replacing them every 90 days as they’re natural products, which can have the potential to house bacteria past that three-month window. With that being said the life, and integrity of Your Baby’s Konjac Sponge can be preserved by being mindful to fully rinse and wring excess soap and water from the sponge after each use. What kind of feedback have you gotten from parents? Well, of course, as I was developing them, my kids were my beloved guinea pigs. If I tried something that didn’t work for them I changed it. They really love the playfulness of the shape and the gentleness leaves them clean and preservative free. The feedback from customers has really reverberated this and many parents are happy to have found a natural and effective alternative to their old bathing rituals. Readers, Emilio wants to share some Daily Concepts with you, too! 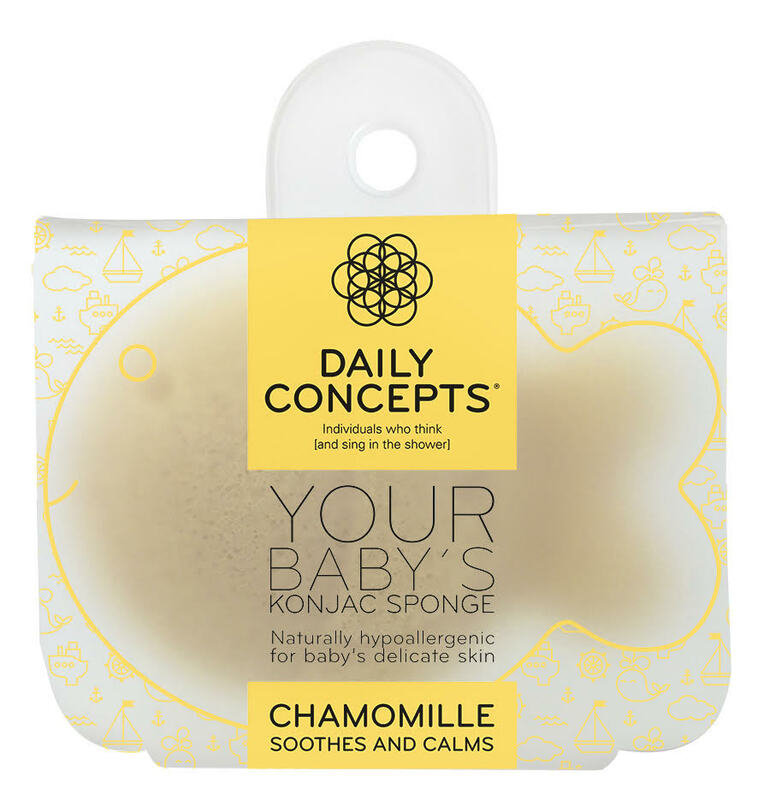 Daily Concepts is giving one lucky winner all three versions of Daily Concepts Your Baby’s Konjac Sponge, along with some products for grown-ups — a Daily Concepts Your Facial Micro Scrubber and Daily Concepts Hair Towel. To enter the Daily Concepts Konjac Sponge giveaway, simply comment below and your name will be entered in our Daily Concepts drawing to takes place on 4/26. Good luck! To learn more about Daily Concepts’ products visit https://dailyconcepts.com. Can a Weighted Blanket Help Your Child?